2 Bedroom Detached House For Sale in Glasgow for Fixed Price £230,000. A beautiful detached villa forming part of this immensely popular residential development. The property has been superbly maintained by the current owners and is a must for viewing in order to be appreciated. The accommodation which has been recently modernised with fresh dcor throughout, extends to entrance hallway and staircase off to the upper landing, impressive sized front facing lounge with feature fireplace is semi open plan to a good sized dining room with large picture window enjoying open aspects over the gardens at the rear and a modern fitted kitchen with door leading to the side of the property. The upper landing provides access off to two good sized bedrooms. The master bedroom is commodious in size and extremely bright and spacious with in-built fitted storage/wardrobe space. The second bedroom is also a good size. Family bathroom comprising of three piece suite. Further benefits include gas central heating, double glazed windows, driveway and single garage. Westermains Avenue has always been recognised as one of the more sought after and convenient addresses in the town. 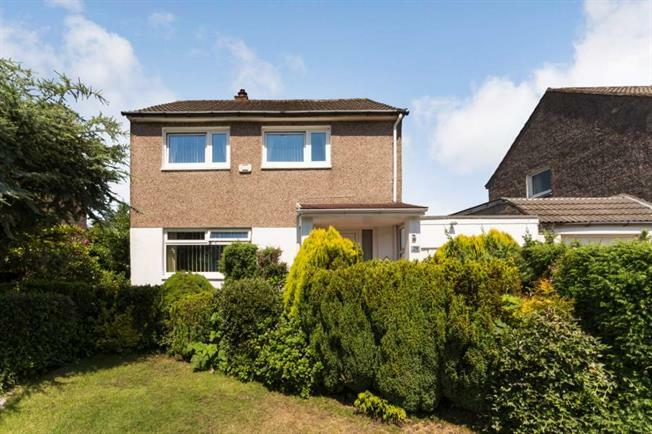 The house lies close to a wealth of amenities, and within a few hundred yards of good local Schools including St Ninians High School and within the catchment area of the well quoted Lenzie Academy. Westermains Avenue is considered one of the districts most coveted addresses`, with a selection of eye-catching high value properties. Kirkintilloch has an excellent range of amenities including local shops and mainline Edinburgh-Glasgow railway station a few minutes' drive away at Lenzie. Glasgow City Centre can be reached via the new Stepps motorway link in approximately ten to fifteen minutes. There are some excellent, well quoted Primary and Secondary Schools within the area and a number of quality golf courses.